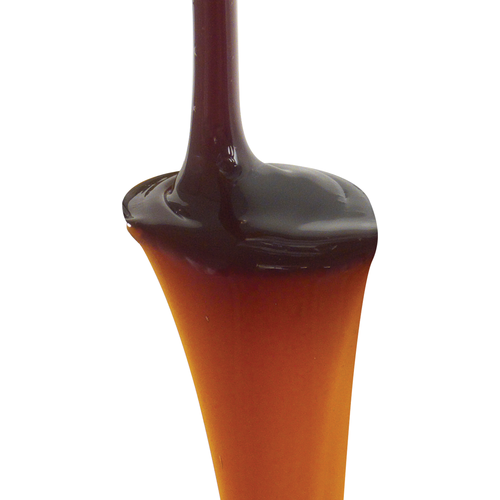 Our liquid Rye Extract is the best way to get that amazing spicy, rye character into an easily brewed extract beer! This is a 9° L blend of Base Malt, Caramel 40, and Rye, which can brew an amazing beer on its own, or something even more complex when combined with other specialty malts or extracts! This extract contains 25% Rye malt, a bit of Caramel/Crystal 40, and the rest is base malt. Thus a 7,8, or 9 pound bag is a perfect way to make a delicious Pale Rye, Rye IPA, Amber Rye or anything else you can dream up. We would love to hear your recipe and results in a review! 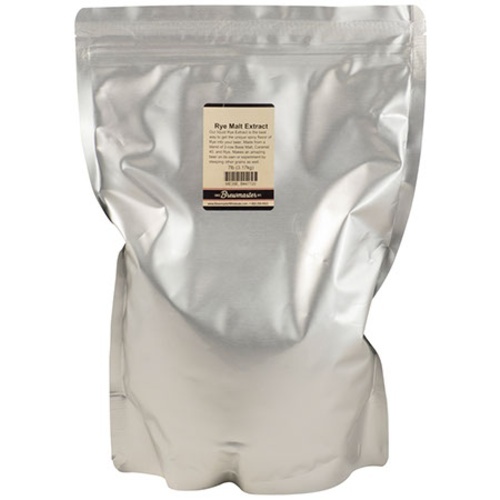 Packaged in oxygen barrier foil bags that keep the extract from oxidizing. Does fresh extract make a difference ...decide for yourself! We recommend customers store their extract in the refrigerator if they do not plan on using it within 8 weeks. Using extract to save time. Tried it before and liked it. Making a roggenbier. Building big rye flavor. REQ Data Sheet and/or Mfg..? BEST ANSWER: Here is all the data needed for the LME from Briess. I really like the spicy flavor of rye beer. Most recipes use a combination of rye and regular malt. I experimented by using the Glass Lakes Pale Ale recipe and replacing the 7 lb of ultra light lme with 8 lb of this malt. After 2 weeks in the bottle, the rye flavor was very strong (almost off-putting). However, after 2 months of aging, the flavors mellowed out and I got exactly what I was looking for, a spicy, malty pale ale. It takes time, but worth it if you like rye ales. We found this LME decidedly delightful having tons of aromatic spiciness and roasted grains while holding flavors of rye in line with the complimentary hop profile of the brewers choice enhancing an easy to make Rye Beer - Use this as a base in your recipe and break into the Rye World!!!! I had seen rye beer described as "spicy" but had no idea how that would actually taste. So, ordered rye LME and made rye ale from the extract recipe in Zainasheff's "Brewing Classic Styles." It turned out great, with a wee taste of rye, as in rye bread, and sweeter than expected. But if you think about it, rye bread tastes sweet. Right away, one would think of using say 10% rye in a known beer to add a little extra sparkle and mystery. Thank you MoreBeer for making rye LME available.